We bring forth a comprehensive variety of PTFE Wires o the clients all over the national and international arenas. 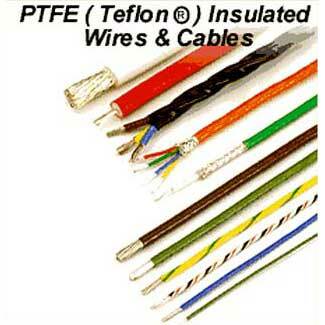 These PTFE Wires are tape wrapped wires having uniform insulation thickness around the central conductor compared to the wires insulated by extrusion process. As PTFE is higher grade insulating polymer as compared to fluorocarbons, these wires have a longer life. The clients can avail these PTFE Wires in various specifications, at pocket friendly prices.